Back in May 2011, Apple shipped an update to iTunes which both began enforcing the PNG format for manually provided artwork, and also changed the image format to PNG for music downloaded from the iTunes store. You can still use all the common image formats to add artwork to iTunes. 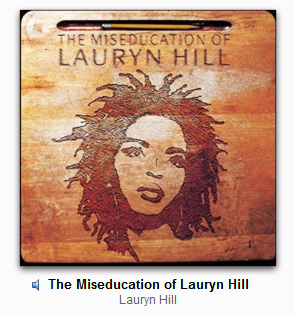 The issue is that when the artwork is embedded, iTunes converts it to PNG. What's wrong with PNG? Well, nothing. In some cases it's the preferred image format. PNG is a lossless compressed image format, while JPEG is a lossy compressed format. That makes PNG analogous to FLAC, and JPEG to MP3. So PNG is better, right? Well, not in all cases. There are a number of instances where you're better off with JPEG. The first big one is player support. 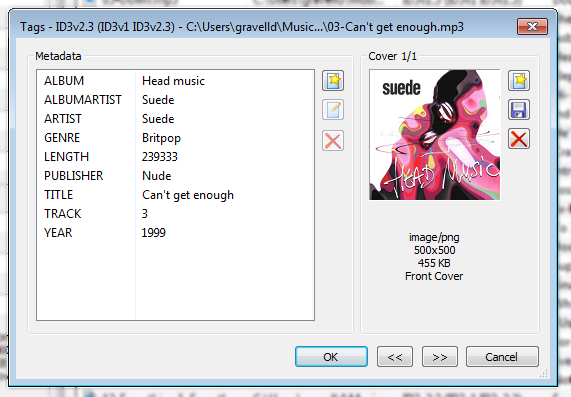 Some music players just won't show artwork that isn't in JPEG format. Another is storage space. PNGs consume more storage space. This can be a problem two ways: (1) you have more bytes to store, which costs more and (2) the extra size tips the balance for music player support and, once again, the music player refuses to display the PNG, but this time because it is too large. The good news is that bliss can convert image formats, so you can use it to convert PNGs to JPEGs. We can see image/png as the MIME type of the image, underneath the artwork. So let's configure bliss to convert PNGs to JPEG. As is common in bliss, using the bliss settings page you declare how you want your library to be, rather than how it should get there. 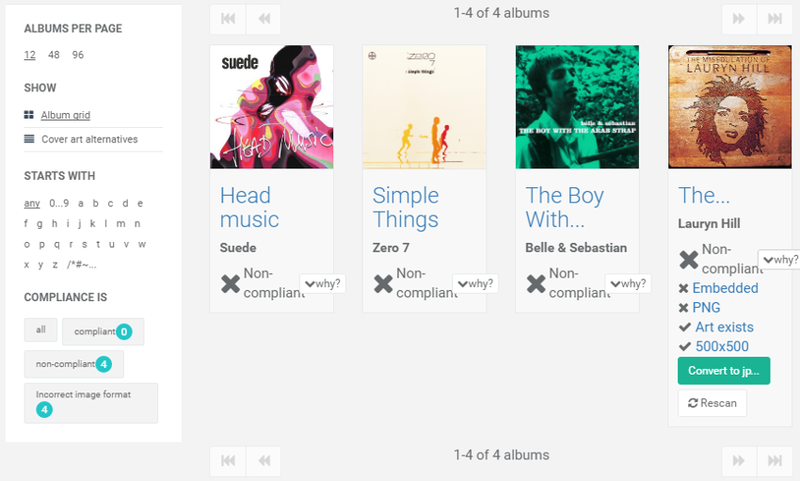 This rather crushed screenshot shows the album filter (COMPLIANCE IS) filtering the albums with non-compliant PNG artwork. Each album has a one click fix; only one album is expanded here to show the fix. 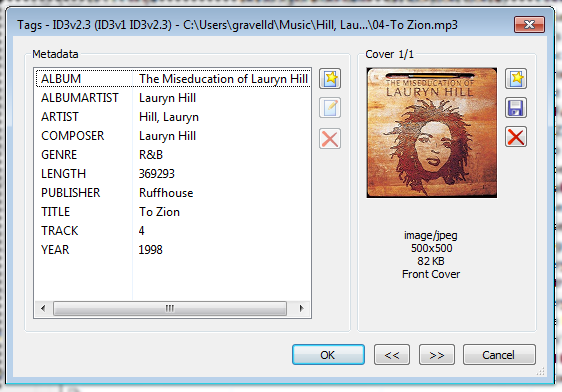 Click the Convert to jpeg button and that album is converted. Still, it's useful to be able to control the image format; both for other music player support, and the storage savings! Thanks to B Lee Vet Photos for the image above.